You can adopt your very own Lucky Cat at any store that sells Asian based goods. These little fellas do not even coast all that much. Prices can range from $12-$25 depending on the size lucky cat you wish to adopt. In fact majority of Asian businesses, from retail to restaurants, have a "lucky Cats" by the front entrance to help welcome in new customers and positive energy. *Carole Provenzale has been a Certified Feng Shui Consultant since graduating from the Country's very first School for Feng Shui Studies that was licensed and accredited in 1997. 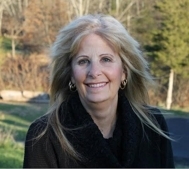 Carole provides on site Feng Consultations Long Island NY, Queens New York and New York City -Hamptons NY. Wordless Wednesday - Are We Still Playing Hide and Seek?